Can added pixel density give this Zelda classic new life? The answer is a conditional “heck yes!”, which might sound odd, so let’s get started explaining things. I loved the original Twilight Princess. It has a mature atmosphere and visuals, certainly far from the very playful and light‐​hearted Wind Waker, yet stopping comfortably short of the dark and anxious mood of Majora’s Mask. 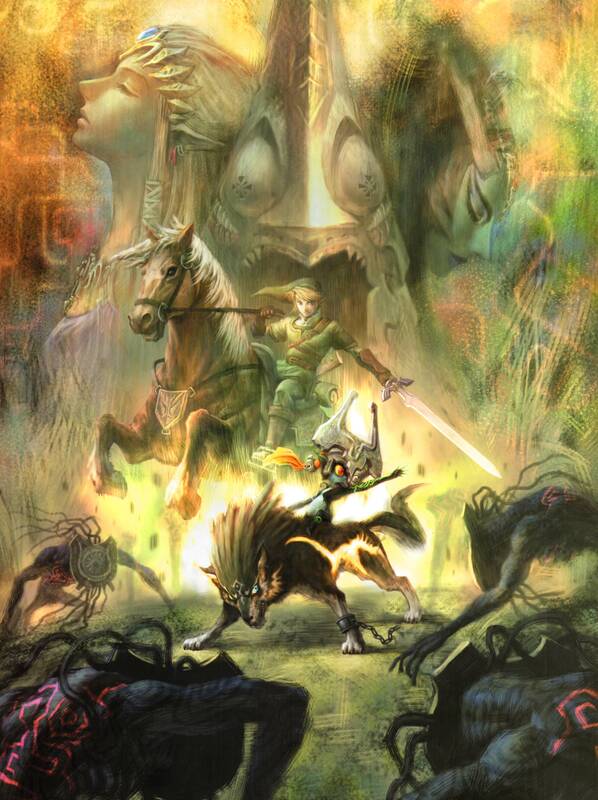 The game sports the best companion in any Zelda game I’ve played – Midna is tightly wound into the story as a central character and has a meaningful and emotional character arc in her own right, making the player genuinely invested in her plight. And the music is as you’d expect from any Zelda game: A few highly memorable original pieces (Midna’s theme foremost among them), some enjoyable interpretations of familiar pieces, and an overall score highly suited to the places and events it’s describing. 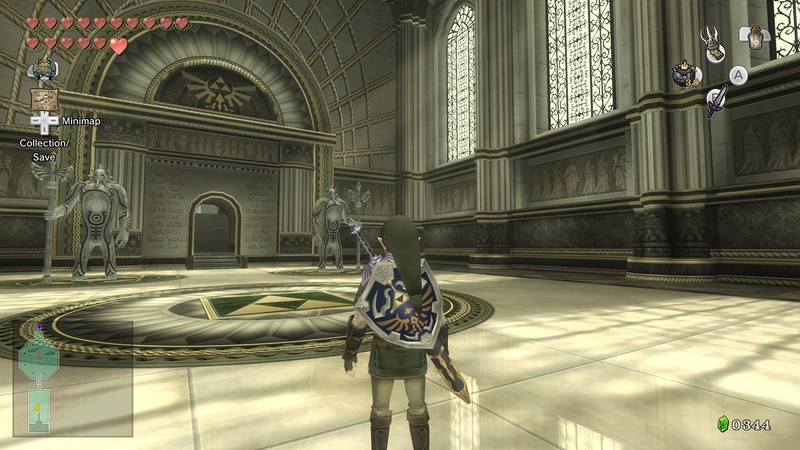 When I first played Twilight Princess, it really was up there with Ocarina of Time – perhaps even surpassing it. Admittedly it faded somewhat after many playthroughs – certain aspects of the game was consistently off‐​putting and dissuasive to starting another playthrough,1 and the emotional highs of the story don’t pack as much of a punch the fifth time around – but it still is a truly great Zelda game. So all in all, being the Zelda fan I am, I was thrilled when someone discovered early traces of a Twilight Princess HD entry in Nintendo’s eShop, and even more so when it was officially announced. 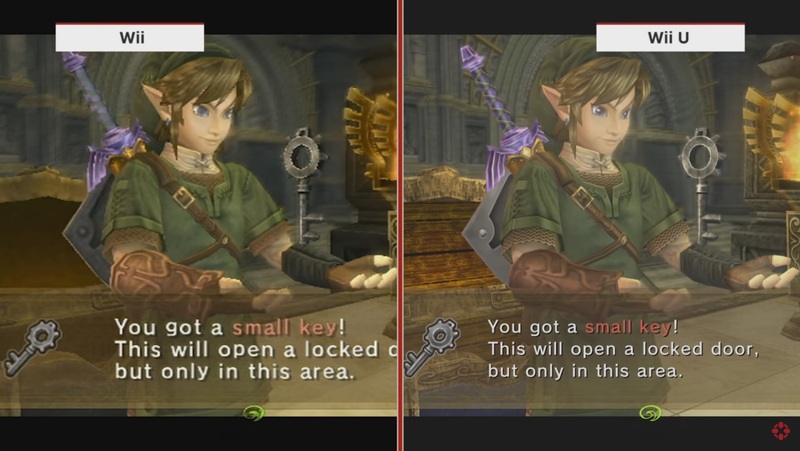 I am nothing if not a graphics junkie – not that I don’t appreciate retro pixelated graphics where it’s a deliberate artistic choice, but in Twilight Princess’ case it was a technical limitation, and the visual style positively begged for more pixels. Without a doubt, the added resolution and other visual overhauls benefit the experience. Note the drastically improved textures inside the chest. The HD remake definitely meets my expectations for a visual overhaul. Nintendo could have gone the easy way (and probably suffered serious backlash from disappointed fans) by simply rendering the game in higher resolution (like you’d do in an emulator), with blurry textures and blocky shapes rendered in crisp HD. Thankfully they have improved both textures and meshes (3D models), and done a great job of it to boot. Character eyes in particular have seen a significant improvement, occasionally to the extent of looking out of place. But could a drastic increase in pixel density rekindle my unconditional love for the game? Well, no. Not for the game as a whole. I still find both Snowpeak Ruins and the City in the Sky to be a drag, and the Oocca are just as ugly. In short, the game, while undoubtedly more beautiful, is still the same. That’s not a bad thing though, because as I mentioned, Twilight Princess is a great Zelda game (which is better than merely “a great game”). And it does benefit from the added resolution, superficial though it may sound. The experience really is better in HD. Graphics isn’t the only thing that was changed, though. The original game was known for its rather… tendinitis‐​inducing use of motion controls, where a flick of the Wiimote essentially amounted to little more than the press of a sword button. I never had problems with it myself, but it certainly was a long shot from the significantly better use of motion controls we would see later in Skyward Sword. In the HD remake you can choose between the GamePad and a Pro Controller. I have only used the former, and it works fairly similarly to the controls in Wind Waker HD. This means you can view a large map while you play (which is really useful), or switch items without pausing the game (which is mostly pointless since you have to take your eyes off the screen anyway). I miss the feature from Wind Waker HD where you could switch between the GamePad menu tabs (Items/​Map) using a shoulder button – now you have to press the tabs directly. To make up for it, the game automatically switches to the Items tab if you pause the game using the + button, and switches back to Map if you un‐​pause it. A dedicated touch‐​screen button has been added for transforming to/​from Wolf Link, which is more convenient than it sounds. And the ability to look around with the right analog stick is handy (though for some reason I haven’t been able to figure out it doesn’t work as well as in Wind Waker HD). Unfortunately, not all changes are for the better. I can’t for the life of me figure out why it’s impossible to move while aiming with an item – when aiming, both analog sticks makes you look around. Being able to aim with the left stick is definitely better than having to aim with the right, since your right hand is preoccupied keeping an item button pressed, but moving while you’re aiming with a bow is even more useful – and we can aim using the GamePad accelerometer anyway, so all in all this seems like a weird choice. 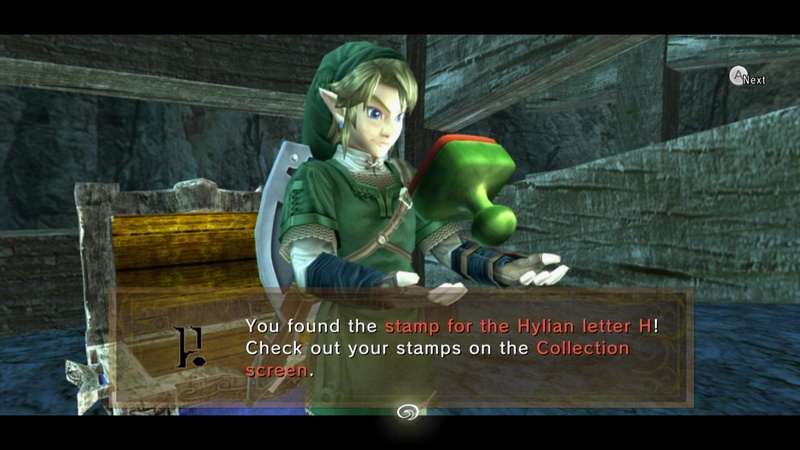 My main gripe with the game though is that they have scattered lots of Miiverse stamps in chests around Hyrule. Some new chests are added for this purpose, but for the most part, lots of existing chests have had their original contents (often those nice 100 rupees) replaced with stamps. As I have made abundantly clear I have nothing but contempt for forcing such social features on players, especially in story‐​driven single‐​player games which depend on immersion to be fully enjoyable. Nothing pulls you out of that magical world like opening a chest and getting an Angry Zelda Stamp. Except maybe low FPS during important story moment with lots of smoke and particle effects (which thankfully doesn’t happen too often). Midna! Midna Midna. Midna Midna Wolf Link Midna. Let me put this as clearly as I can: Twilight Princess HD is, without a doubt, the definitive version of the game. So let’s get back to that conditional “Heck yes!” in the beginning. If you like Zelda games and haven’t yet played any version of Twilight Princess (is that even possible? ), then heck yes, purchase and play the HD version. If you like Zelda games and put graphics above all, then heck yes, play this (and I don’t know why you’re even reading this review). If you thoroughly enjoyed the original version and would like to experience the game again, then heck yes, this is the version to play. But if you don’t really feel like playing the original again, and wonder if perhaps added pixel density can make the experience more enjoyable, then sure, it kind of will, but no, it’s still the same game, and apart from the visuals you’ll dislike everything you disliked about the original (and then some). As for myself, despite some misgivings, I’m on the “heck yes” side. So now I’m looking forward to the 25‐​year anniversary VR remake. I just hope it comes without Facebook integration. 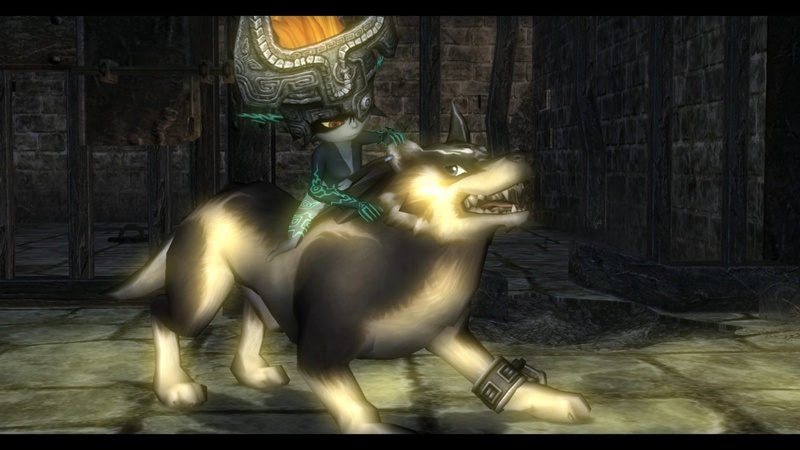 Twilight Princess HD is the definitive version of the game, with gorgeous graphics and more streamlined controls. Just don’t count on more pixels drastically improving the experience if you’ve grown tired of the original. Did Twilight Princess HD meet my pre‐​play expectations? As much as I enjoy your review, your witty comments and the game itself, I must disagree on one point: This is not Ganondorf’s best game, as he is more or less only a classic machiavellian tyrant with magic to boot. Compared to the previous game (release‐​wise), The Wind Waker, where we got a small insight in Ganondorf’s inner motives and psyche, I think TP‐​dorf just doesn’t cut it. Then again, I don’t really mind the Snowpeak Ruins, so differences will always be there I guess. I think we all can agree that Majora’s Mask is by far the darkest of all the Zelda games and that Twilight Princess’ so‐​called “darkness” is merely the dusk of twilight.